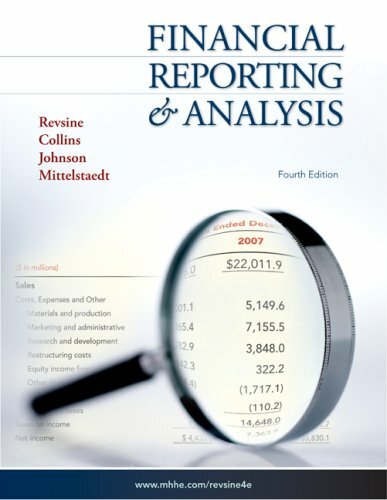 Financial Reporting And Analysis (FRAndA) by Revsine/Collins/Johnson/Mittelstaedt emphasizes both the process of financial reporting and the analysis of financial statements. This book employs a true "user" perspective by discussing the contracting and decision implications of accounting and this helps readers understand why accounting choices matter and to whom. Revsine, Collins, Johnson, and Mittelstaedt train their readers to be good financial detectives, able to read, use, and interpret the statements and-most importantly understand how and why managers can utilize the flexibility in GAAP to manipulate the numbers for their own purposes. "Lawrence Revsine." "John and Norma Darling Distinguished Professor of Financial Accounting. Kellogg Graduatt School of Management, Northwestern University, BS 1963, MBA 1965, Ph.D. 19681 Northwestern University; CPA 1963"
Lawrence Revsine joined the Kellogg faculty in 1971 and served as chair of the Accounting Information and Management Department for eight years. The author of several books on various financial reporting issues, he has had approximately 50 articles published in leading academic journals. His academic recognitions include participation in three American Accounting Association Doctoral Consortia. He has received both Ford Foundation and Peat Marwick Mitchell Foundation research grants. He was selected the American Accounting Association's; Distinguished Overseas Lecturer, and the AAA named him the 1992 Outstanding Educator. : The Illinois CPA Society designated Revsine its 1993 Outstanding Educator. Professors Revsine received the Alumni Choice Faculty Award from the 1995 Reunion Classes; this award is given to the Kellogg faculty member who has had the greatest impact on their professional and personal lives. Professor Revsine has been a consultant to the American Institute of Certified Public: Accountants, the Securities and Exchange Commission, and the Financial Accounting; Standards Board and served on the Financial Accounting Standards Advisory Council. He is a consultant to industry on external reporting issues and regulatory cases and has taught extensively in management development and continuing executive education programs in the United States and abroad. Professor Revsine has received numerous commendations for teaching excellence, including Teacher of the Year from the Kellogg Graduate Management Association student group, and the Sidney J. Levy Teaching Award, presented by the Kellogg Dean's Office. "Daniel W. Collins." "Henry B. Tippie Research Chair in Accounting, Tippie College of Business, The University of Iowa. BBA 1968, Ph.D. 1973, The University of Iowa"
Winner of the University of Iowa Board of Regents Award for Faculty Excellence in 2000 and the American Accounting Association's Outstanding Educator Award in 2001, Dan currently serves as the Chairman of the Accounting Department at The University G Professor Collins' research focuses on the role of accounting numbers in equity valuation and the pricing implications of alternative accounting measurements. A prolific writer and frequent contributor to the top academic accounting journals, Collins has been recognized as one of the top ten most highly cited authors in the accounting literature over the last 20 years. Professor Collins is on the editorial review boards of the Journal of Accounting and Economics, Accounting Horizons, and Review of Quantitative Finance and Accounting. He has also served as Associate Editor of The Accounting Review and as Director of Publications for the American Accounting Association (AAA). Professor Collins has served on numerous AAA committees including the Financial Accounting Standards Committee and has chaired the Publications Committee. He also served on the Financial Accounting Standards Advisory Council from 1994-1997. "W. Bruce Johnson." "Arthur Andersen Professor of Accounting, Tippie College of Business, The University of Iowa. BS 1970, University of Oregon, MS 1973, Ph.D. 1975, The Ohio StateUniversity"
W. Bruce Johnson joined the university of Iowa faculty in 1988 and has served as director of its McGladrey Institute for Accounting Research, accounting group chairman, and associate dean for graduate programs, where he was responsible for Iowa's MBA and Executive MBA programs. Bruce Johnson is a longtime Pennsylvania resident and a native of Allentown. Since the 1970s, his work has been exhibited in galleries in the United States and Europe; in 2002, he was the subject of a one-man show at the Susquehanna Art Museum in Harrisburg.